Pioneered by RarePepes on Bitcoin and CryptoKitties on Ethereum crypto-collectibles are a unique phenomenon poised to change the way we think about ownership of digital objects. Non-fungible tokens are gradually transforming the world of gaming and the arts as well as our society in ways we have never seen before. 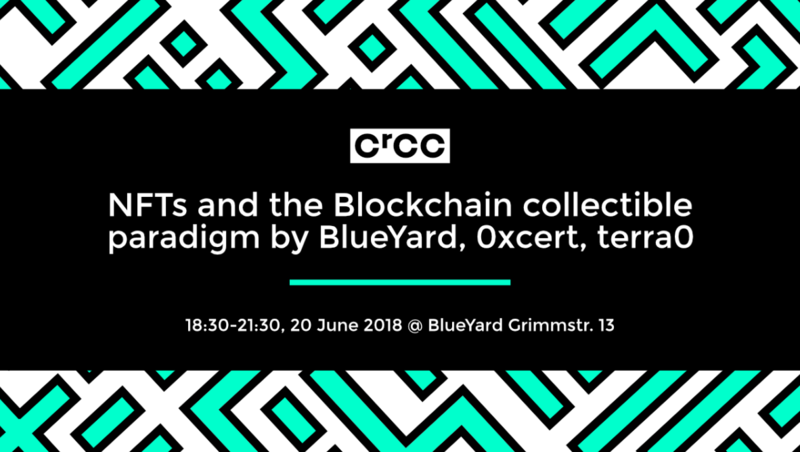 Crypto Collectible Club (CrCC) is hosting the first event in Berlin on 20th June with the most relevant speakers lineup. Our panelists are experts from both blockchain investment and development so that you will get to hear first hand the thoughts from the pioneers that are actively laying down the foundations of this space. The event is free, but seats are limited. Reserve your spot now! Crypto Collectible Club (CrCC) is a place for crypto collectors, digital artists, and all mad cool techies who live, breath (and perhaps bet) on Non-Fungible Tokens (NFTs) to mingling, discuss, develop and share ideas. We work and collaborate with startups, entrepreneurs, institutions, VCs, artists and other awesome people to spice up this space by organising regular events, talks, pitches and many more. We are starting out in Berlin but plan to cover the whole planet soon. Watch out this space and join us today.